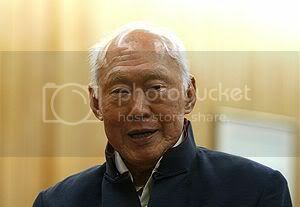 MM Lee express concerns for daughter not getting married. By Seah Chiang Nee. Then in an unusually emotional mood, Lee told the young audience: “When she was in her early 30s, I told her, never mind all this. “My wife and I used to tell her, what you want is a “Mrs” (to her name). She didn’t think it was funny. Now, she is 50-plus. “I’m getting old. I’ve got a pacemaker. We’ve got this big house, everything is looked after now, but what happens when we are no longer there? “Who’s going to run this place? Who’s going to make sure that the maids are doing the right thing and so on and so forth? That’s the price she (Dr Lee) will have to pay. “She says, I’ll look after myself, but she has not been looking after herself all these years.